With the rapid growth of big data industry in Guiyang, capital of Southwest China's Guizhou province, companies in the city are finding success with the emerging business of outsourcing call centers. Guiyang, capital of China's southwestern Guizhou province, plans to boost its big data industry with stronger government support and larger economic incentives. 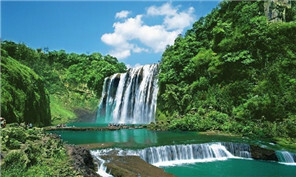 Six centuries old Qingyan town in northwestern China's Guizhou province is preparing to be ranked as one of the most important national scenic spots. An eagle-eyed birdwatcher spotted more than 20 endangered Asian openbill storks for the first time ever in Nayong county, Guizhou province, on May 1. 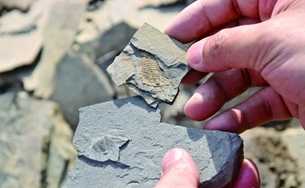 A lucky visitor to Balang village in Guizhou province recently stumbled across a fossil dating back from millions of years ago, reigniting the area's passion for the ancient rarities. 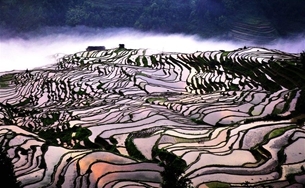 Photos show the scenery of the Moon Mountain terraces on the border of Rongjiang and Congjiang counties, Southwest China's Guizhou province. 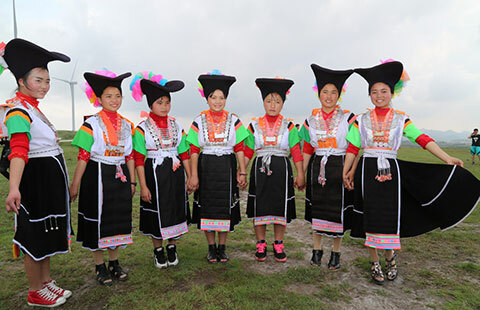 A Miao costume parade was held in Danzhai county, Guizhou province, on May 1. 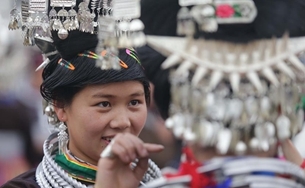 Rongjiang county in Guizhou has long been the habitat for ethnic minority of Dong, which attracted many tourists during the three-day May Day holiday.